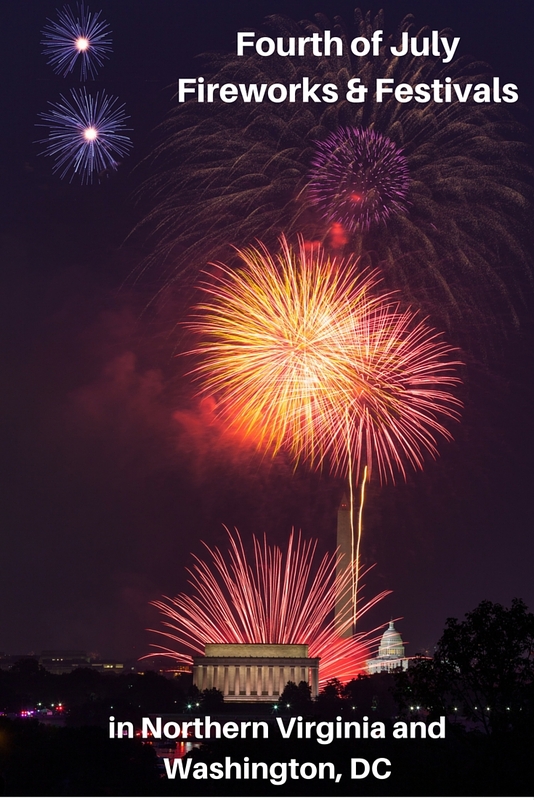 Celebrate Independence Day in Northern Virginia and DC! We’re lucky to live so close to Washington DC, and being in DC for the big National Fourth of July parade and A Capitol Fourth concert and fireworks is something you definitely need to experience at least a few times. But if you want to be “closer to home,” we also have many fun options for Fourth of July celebrations in Fairfax County or right on the border to us. 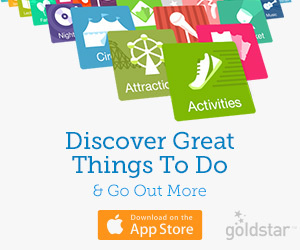 From huge daylong festivals with parades and fireworks to smaller, quieter celebrations, there really is something for everyone! Our list below includes more than 20 events in Northern Virginia and the “can’t-miss” celebrations in DC. As always, check directly with the official websites (linked below) for other details such a rain dates and other policies. Independence Fireworks at Mount Vernon: Start your Independence Day celebration with two nights of fireworks choreographed to patriotic music at Mount Vernon estate. Enjoy mansion tours, musical performances, games, and more, and meet General and Mrs. George Washington, then cap off the night with fireworks. Food available for purchase. 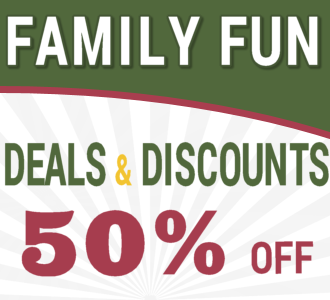 Tickets are $30/20 adult/youth; or $5 more per person including mansion tours. Workhouse Fireworks: Enjoy live music by the U.S. Navy Band Commodores and family fun starting at 5 pm, and a spectacular fireworks show! Fireworks start at dusk, typically around 9 pm. Admission is free and you can bring blankets and lawn chairs; parking is $10. There are also VIP packages for sale that include food and other perks. 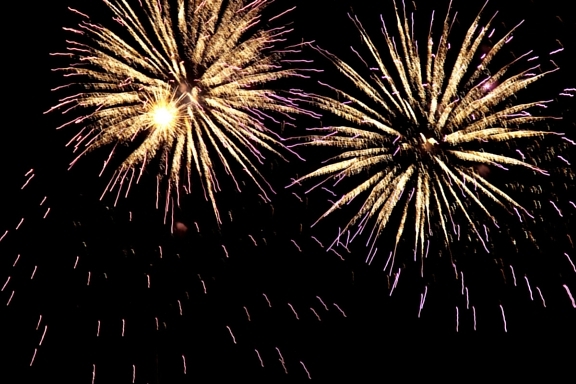 Lake Fairfax July Fourth Festivities and Fireworks: Celebrate all day at Lake Fairfax Park! The grounds open at 7 am, with The Water Mine (water park) open 10 am-8 pm and the carousel and marina open 10 am-5 pm. At night, enjoy fireworks, shot over the lake to be seen from almost anywhere in the park. Bring a picnic or buy food from one of the vendors. You can even reserve a spot on the campground (spots fill quickly!) and spend the night! Admission to the park is free; there is a fee for water park, carousel, tours, camping, and other activities. Lansdowne Celebrates America: Kick off Independence Day weekend at the Lansdowne Resort in Leesburg. The celebration starts at 3:00 pm with a live broadcast with radio personalities, plus food from local food trucks, local Virginia wineries and breweries, DJ music, and games for kids and adults, live music, and fireworks. Tickets are by advance purchase only and admission is $25 for adults, $10 for children ages 4-12, and free for children under three years old. Freedom 5K and 1K Fun Run at Fairfax Corner: The second annual Freedom 5K and 1K Fun Run also features a free “tot trot” at 8:50 am. Please note that no strollers or dogs are allowed on the course. Star-spangled South Riding (parade and fireworks): South Riding in neighboring Loudoun County kicks off the holiday with the Star Spangled Parade at 5 pm, followed by a free concert 6-9 pm and fireworks at 9:30 pm. You may bring a picnic (no outside alcohol) or buy food and drinks onsite. A Capitol Fourth Dress Rehearsal: If you want to get a “taste” of the big celebration in DC on July 4, “A Capitol Fourth,” you can attend a dress rehearsal the night before, on July 3. There are no fireworks and not all the artists may show up, but you never know! National Independence Day Parade: What a more perfect place than Constitution Avenue to celebrate Independence Day? This annual parade has giant balloons, bands, fife and drum corps, floats, military and specialty units, equestrian teams, drill teams, dignitaries, and celebrities. It starts at 11:45 am. (Also check out the Smithsonian Folklife Festival taking place around that time!). 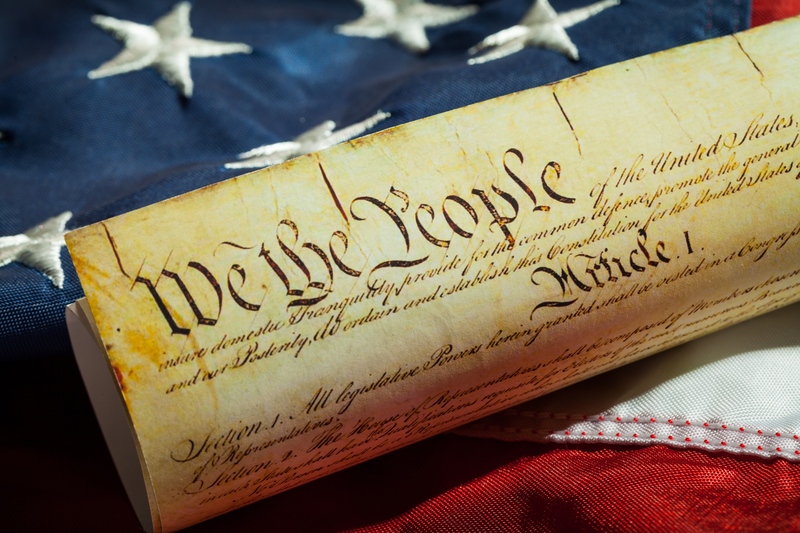 4th of July Festivities at the National Archives: The National Archives in Washington, DC, will celebrate the anniversary of the adoption of the Declaration of Independence with a daylong festival. From 8 am until 4 pm , enjoy patriotic music, a dramatic reading of the Declaration by historical reenactors, and family activities and entertainment for all ages. Free admission. Note: the Archives is on the route of the big parade (see item above), so expect crowds. Arrive early, as the first 1,000 guests at the reading ceremony will receive a special July 4th celebration T-shirt. Firecracker 5K at Reston Town Center: Kick off your 4th of July with a 5k at 8 am! Join Potomac River Running Store for the 7th annual Firecracker 5k For the Troops to benefit the USO of Metropolitan Washington. Experience live music, face painting, waving flags and free massages, and root for your favorite military branch in the “Battle of the Branches” competition. Town of Clifton July 4th Parade and Picnic: Annual celebration for the Clifton community with a small parade. Celebrate Great Falls 4th of July Hometown Celebration and Parade: Celebrate Great Falls presents a daytime 4th of July Hometown Celebration that starts with a 5K walk/run at 8 am, a Little Patriot Parade at 9 am for babies and toddlers up to age 5, and the main parade at 10 am. Afterward, enjoy food and music, field games, and festivities on the Village Centre Green. Return in the evening to Turner Farm Park for more fun beginning at 6 pm: music, games, contests and food trucks, followed by fireworks just after dusk. City of Fairfax Independence Day Parade: The City of Fairfax hosts its 50th annual Independence Day celebration with a big parade (10 am-noon), tours of the Ratcliffe-Allison House (11:30 am-1 pm), and at 12:30 pm, a Superhero Fest (noon-1 pm), and an Old-Fashioned Fireman’s Day with a firefigher competition, food and beverages, and games. All day long (9 am-4 pm) tour the Fairfax Museum and Visitor Center during the Open House. At night (7-10 pm), head to Fairfax High School for the evening show featuring live music and a fireworks display. Free admission. Ol’ Time Fourth of July Daytime Celebration: Celebrate an old-fashioned Fourth of July with pony and wagon rides, music, crafts, nature exhibits, historic tours, old-time and family games, and a demonstration by “Reptiles Alive.” Food is available for purchase. Register in advance or pay at the park (cash/check only); use the Loudoun Park Lane entrance to the park. An American Celebration at Mount Vernon: Mount Vernon salutes our first commander in chief with an annual display of daytime “fireworks!” The celebration also includes military reenactments, a special wreath-laying ceremony, free birthday cake for all (while supplies last), and a visit from the “first” first couple, “General and Mrs. Washington.” Admission prices are $18-20 adults, $11-12 kids 6-11, free to kids 5 and under. Vienna Fourth of July Festival and Fireworks: The Town of Vienna hosts a day and night of fun and fireworks! 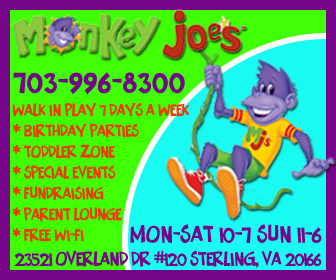 Activities begin at 4 pm at the Vienna Community Center Yeonas Park with kids’ games and moon bounces and food for sale. Activities from 2 pm to 4 pm include giant water slides, slip ‘n slides, sprinklers, water games, magic shows, music, and more. The festival ends with an evening show starting with music at 7:15 pm and a fireworks show around 9:30 pm at Southside Park. The rain date (for fireworks only) is July 5. Town of Herndon Fourth of July: The Town of Herndon celebrates the Fourth with a free night of family fun starting at 6:30 pm with games, patriotic arts and crafts, bingo, food, balloon artists, and more. Fireworks set to music begin at 9:30 pm. Parking will be very limited so check the event site for information. Events take place at Bready Park, Herndon Community Center, 814 Ferndale Avenue. McLean 4th of July Fireworks Celebration: The McLean celebration takes place at Churchill Road Elementary School. Arrive early (grounds open at 6:30 pm) to enjoy music and food before the fireworks show at 9:15 pm. Shuttle buses will be available from St. John’s Episcopal Church and the McLean Community Center to Churchill Road Elementary School, the new event site. The fireworks rain date is July 5. Free admission. City of Falls Church Celebration and Fireworks: The City sponsors an annual July 4th Independence Day Celebration at George Mason High School, starting at 6 pm, with music, food from various food trucks, and a kids’ recreation area. Live music starts at 7 p.m. and the fireworks begin at 9:20 p.m. The event is free to the public. Celebrate America in Manassas: Celebrate America this Independence Day with one of the largest fireworks displays in Northern Virginia! It’s an all-American party in Historic Downtown Manassas that begins with kids’ activities and food at 3 pm concert and a fireworks show at 9:15 pm. Basic admission is free; there’s also a VIP option for a rooftop party. Fireworks at Signal Hill Park: The City of Manassas Park will have a fireworks display beginning at dusk by the Manassas Park Community Center; free admission. Free shuttles from VRE and City Hall starting at 6 pm. 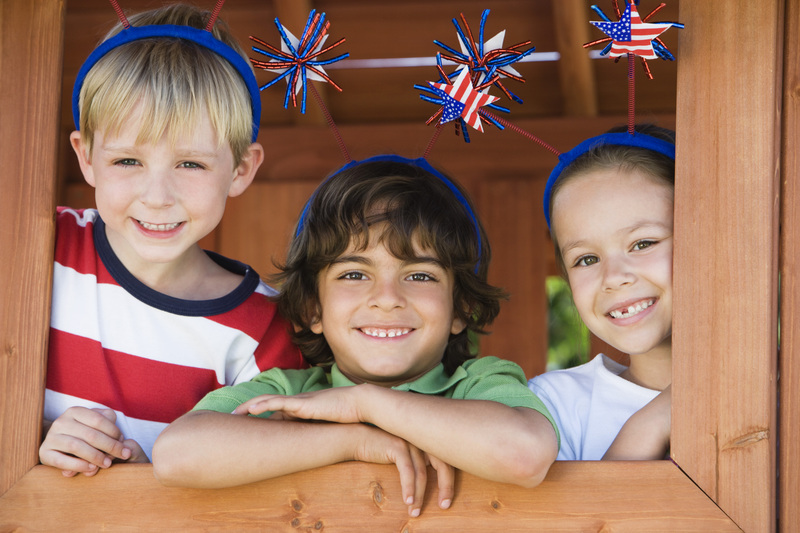 Ashburn Village 4th of July Celebration: Ashburn Village hosts a parade for kids and adults starting at Fincastle Field at 10:30 am, followed by a celebration 11 am to 4 pm with a DJ, dunk tank, giant water slide, train, moon bounce, and more. This is for area residents, who get free admission with a wristband; their guests pay $10. Independence Day in Arlington: Long Bridge Park in Arlington is NOT hosting a formal celebration this year with kids’ activities, but the site will remain open as a place to view the fireworks from nearby Washington, DC. Dale City Independence Day Parade: One of the biggest Virginia parades takes place down Dale Boulevard starting at 10 am down Dale Boulevard. After the parade, enjoy free family fun until 2 pm in the commuter lot with live entertainment, games, and food and craft vendors. Warrenton Children’s and Pets Parade: Old-fashioned, patriotic and pet-friendly family affair starting at 10 am. Kids decorate their bicycles, their wagons and pets in red, white and blue to join Uncle Sam, marching bands, and community groups down Main Street. Leesburg Independence Day Parade and Fireworks: The annual celebration features bands and performers, including the American Originals Fife and Drum Corps at 9:45 am before the parade in downtown Leesburg kicks off at 10 am. At night, head to Ida Lee Park to enjoy live music and food starting at 6 pm, followed by a huge fireworks show at 9:30 pm. Admission to the daytime and evening events is free. A Capitol Fourth: John Stamos hosts this iconic celebration on the grounds of the U.S. Capitol. Headliners and music icons including the Beach Boys, Jimmy Buffett, the Temptations and more to celebrate our nation’ birth and freedoms in a free show open to all. A Capitol Fourth is the annual celebration broadcast live on PBS and which includes a spectacular fireworks show. Get there a few hours early (show starts at 8) to secure a spot! Ashburn Village 5th of July Fireworks: Ashburn Village will have a fireworks show at Lakes Recreation Center at Ashburn Lake (Cheltenham Circle and Ashburn Village Boulevard) starting at dusk. Alexandria & USA Birthday Celebration: The City of Alexandria celebrates the country’s and its own (267th) birthdays from 7 to 10 pm. Come early for the live music by the Alexandria Symphony Orchestra, patriotic birthday cake, and food vendors, and stay for the dazzling fireworks display performed to Tchaikovsky’s “1812 Overture” with cannon support by the United States Marine Corps. Bring lawn chairs and a picnic or buy food from vendors. Free admission. Baltimore Fourth of July, Baltimore, MD (1 hour away): Baltimore’s big celebration starts with music at 7 pm and a big fireworks show (at 9:30 pm) that is visible from several locations in downtown and nearby, including Federal Hill, Locust Point, Fell’s Point, Canton and Harbor East. Kings Dominion, Doswell, VA (2 hours away): The popular theme park hosts a “Star-spangled Celebration” July 2-4 with music and nightly fireworks; all active and retired military personnel get free admission. Colonial Williamsburg, Williamsburg, VA (2.5 hours away): Colonial Williamsburg celebrates with a full day of festivities including music, demonstrations, and fireworks at multiple locations. Share the post "Fourth of July Fireworks & Festivals in Northern Virginia & DC"
What is the parking situation for the Manassas fireworks? Any suggestion on timing and locations?